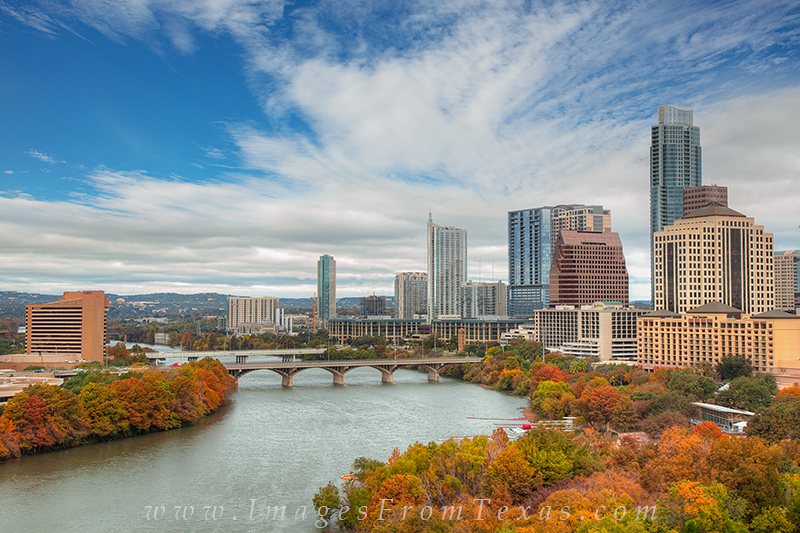 The Fall colors begin to show up along Lady Bird Lake in this skyline image from Austin, Texas. Taken in late November, the reds and golds begin to show up as the weather (finally) turns colder. Photo © copyright by Rob Greebon.